V-Cargo is a canvas medium weight poly-cotton style with a comfortable interior. The rugged exterior is sleek to avoid movement restriction. This material hides spills well relative to other fabrics, and stands up well to the rigors of exploring. 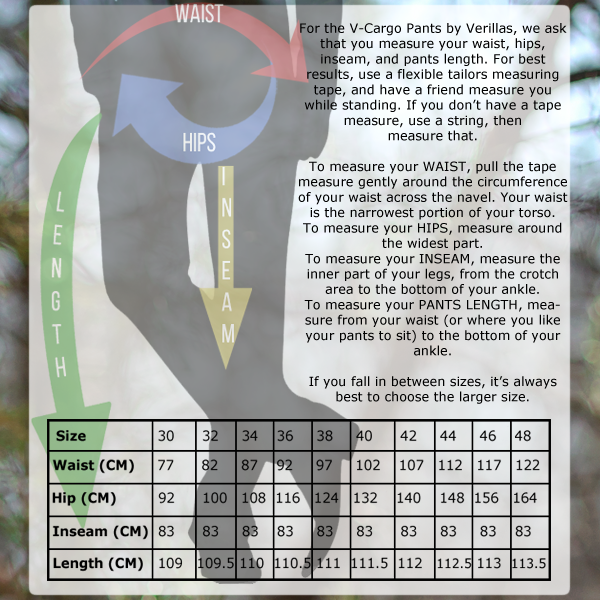 Sizes available are your actual waist circumference where you want your belt line to sit, in inches.